Our superb 2010 Lia Viognier was described by customers, critics and trade members alike as the finest Californian example they’d ever tasted. Luckily the 2011 follow up is of similar style and quality, although sadly of much lower production due to the low yields of the vintage. It’s a beautiful wine with great varietal expression and the acid structure to match its natural richness. As a variety Viognier should be rich, sometimes viscous and always intense. This does not mean, however, that it should be soft, blowsy and heavy. In our cool coastal climate we can achieve the breathtaking intensity for which it’s known, but still retain enough acidity for the wine to be long, precise and focused on the palate. 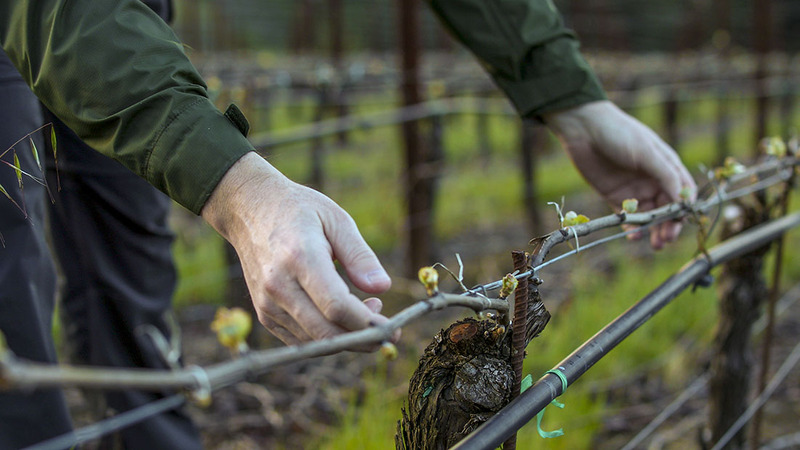 We blocked the malolactic fermentation in two of the three source vineyards to retain some ‘greener’ more savory elements that malic acid can bring – ‘the connection to the vine’. You can drink this on release for its exuberant fruit or age it for three or four years to concentrate the fruit core further still and bring even greater deliciousness. Brilliant pale straw color. Explosively aromatic: spring blossoms, fresh cut grass, honeysuckle, apricot, lemon sherbet and lilies. Wave upon wave of luscious fruit and breezy savory notes cascade on the palate: orange marmalade, white peach, baked apple – all tangy and delicious. Hints of lanolin, quince richness and honey develop. Fresh saline oyster shell notes and tense bright acidity provide balance to the persistent focused finish. Best consumed within four years of release.